EU Government Debt: A coming crisis? Is it still a Black Swan if you see it coming? 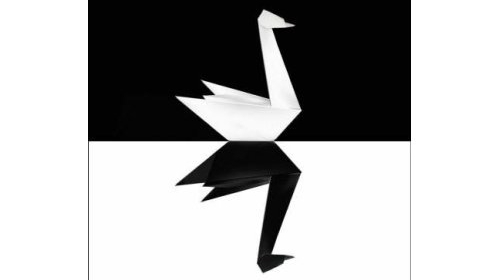 A Black Swan is unexpected event that proves something that was previously thought impossible. All Swans were considered to be white until a Black Swan was discovered in Australia. The financial crisis and collapse of Lehman Brothers of 2008 was a Black Swan for the financial markets and it is what makes predicting market returns so utterly impossible. But there are two impossible things that presently seem possible. A collapse in the Euro and the US government losing its AAA rating. Either would roil the markets like its 2008 and both seem possible. Its either OK or its not. Let’s get something straight about debt markets. When they lose faith, it happens suddenly and all at once. A long talked about problem can suddenly become a complete loss of confidence and a sudden drop can cause buying interest can literally disappear overnight so the market suddenly stops trading. The collapse in faith and illiquidity in the sub-prime CDOs (asset market behind house mortgage syndication) were the principle cause of the loss of capital that led to the collapse of Lehman Brothers. Is another fundamental change around the corner with EU debt? The debt problems in Europe seem not to end and only grow. Don’t just blame the Greeks. Portugal and Ireland have also had to hold out there hands also to make good on their budgets and there is little doubt that one or both might need to do it again. EU plans continually seem insufficient. The original Greece bailout just 12 months ago was supposed to allow Greece a few years to sort out its problems when it needed to return to the bond markets to borrow in 2012 but it hasn’t worked out that way. Interest payments alone on debt now approaching 160% of GDP are around 50% of the budget in Greece, yet it is still in deficit by about 8-9% of GDP per year. Even worse, the Greek people have no more appetite for further cuts or asset sales. A default, delay or restructuring of Greek debt is considered a fait accompli by everyone apart from EU politicians. If it’s handled badly, it has the potential to multiply and accumulate. Not really directly, but indirectly yes. The problems in Greece or Portugal or Ireland aren’t the worry. It’s the problems they might cause in confidence in countries elsewhere such as Italy and Spain. Neither has yet suffered a crisis in confidence, but when it does, then it will already be too late. Once debt costs rise, then government debt can quickly become unsustainable. Take Italy for example. The good news is that Italy doesn’t run much of a budget deficit each year at only 2-4% of GDP most years. The problem is the size of the debt in Italy has slowly risen, like the water temperature of the fabled frog and its getting dangerously warm now. Economic growth in Italy has been some of the worst in the world making maters worse. Gross Italian government debt had drifted to 119% of GDP in 2010. Before debt servicing Italy ran a surplus until the financial crisis. That was with low debt costs. A few more degrees and its over. Even a smallish rise in the interest demanded by bondholders could lead to unsustainable and spiraling debt and a default crisis. The situation in Spain is similar although Spain’s debt is presently lower, their structural deficit is currently bigger and their economy in a bit more of a hole. In short they are behind but are catching up quickly. What happens when the bath boils? Maybe Italy and Spain will be able to climb out the soothing bath before it gets too hot. Let’s hope so, but what are the consequences if they don’t? Spain and Italy are too big to bail-out at the best of times, but with political opposition the way it is in Germany, it is unimaginable that they would be bailed out. So without a bailout then default beckons. The first to be hit would be mostly European banks, which typically hold government debt along with some of the lazier pension funds. The Euro would drop quickly, and speculation would increase on which banks were having problems with liquidity. Short-term interest rates would increase raising borrowing costs for large businesses and potentially locking out small businesses like it was 2008. Large capital investment projects would be delayed and cash conserved. Talk in Italy and/or Spain might focus on the benefits of a single currency, a return to the Lira which they can devalue anytime that competitiveness becomes a problem. Political infighting amongst different countries will turn nasty and there is a good chance of one or more members leaving the Euro. The Euro might be abandoned, although no-one we can find, can say what the process is to achieve that. A poorly managed default of Greece could cause problems in Italy or Spain and cause the sort of economic problems that can cause quite a nasty recession. It’s not on the horizon right now, thankfully, but that’s the thing about black swans. You might think you can see what is coming, but its always a surprise. “Securities issued by the US Department of Treasury…are viewed by market participants as default risk-free securities”. So says the CFA (Chartered Financial Analyst) text book which is considered by many to be the pinnacle qualification for fund managers. Why then has trading of credit default swaps (insurance against default) on US government debt suddenly picked up in recent weeks? This article does not constitute investment advice. You should consult with a qualified professional regarding your personal financial situation before making investment decisions.